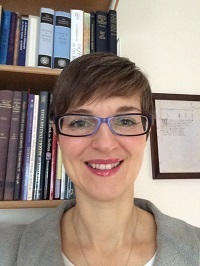 Dr Orietta Da Rold has been awarded a British Academy Mid-Career Fellowship. The fellowship, for the 2017-18 academic year, will allow Dr Da Rold to explore the coming to England of paper. The emphasis of the project is on how paper influenced changes to communication processes before printing. It will consider the earliest evidence for paper in England from about 1300 and look at the story of its adoption up to the introduction of printing in 1475. It will seek to answer How did the introduction of paper influence the dissemination of knowledge in manuscript culture? What was the impact of paper on the medieval English economy, book market and culture? How did paper influence the production of written texts? Who wrote on it? Did paper have a status and if so what was it? How can we interpret the many references to paper that English writers (Chaucer, The Gawain-Poet, Malory etc.) use to signify invention? The answers to these questions offer a unique perspective on, and a new approach to, the acceptance of paper in England in the age before printing. This project will make a significant contribution to our understanding of how paper in medieval England became a paradigm-shifting technology.